Richard and Emily Magrath are celebrating a fantastic start to 2019, after Caremark North Down, Ards & Belfast took home not one, but two, industry-recognised awards. Richard, Emily and their team have been crowned as best office in their respective region and overall ‘Best Office’ seeing off competition from over 100 Caremark offices in the UK. Both awards were given to Richard, Emily and their team at a glittering gala event, which took place on the 25th of January, at the Marriott Forest of Arden Hotel in Warwickshire, England. 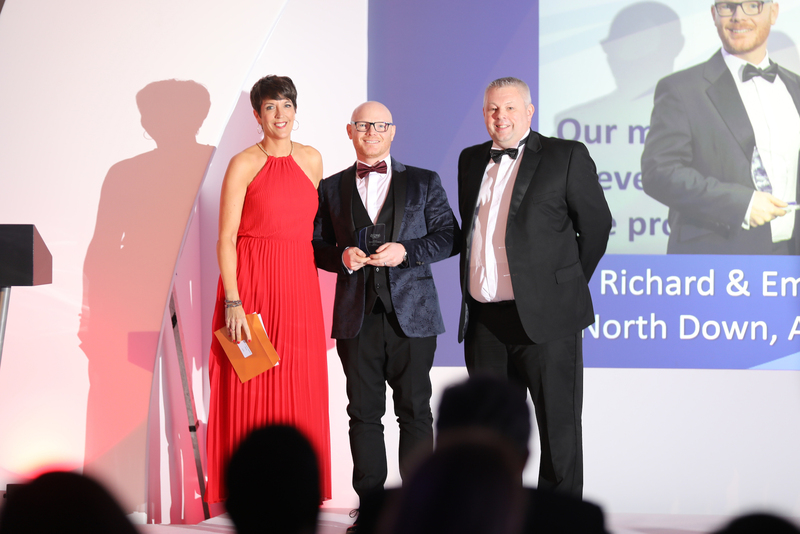 Richard was thrilled to receive both awards, on behalf of Caremark North Down, Ards & Belfast. “This rating is testament to our incredible team and the hard work they put in every day. This truly was a group effort, and something we’re proud to celebrate collectively. By putting our clients’ needs at the forefront of our business, we’ve built a compliant and compassionate culture and we’re passionate about maintaining this standard. We speak on behalf of the team when we say that this is just the beginning. Our focus was to build a strong team and provide an impeccable standard of care, right from the get-go. We’ve achieved all that and more,” says Richard. Caremark North Down, Ards & Belfast qualified for both awards for clearly demonstrating commitment to the local community. On top of this, Richard and Emily have continued to grow further this year whilst still achieving a top rating from their regulatory inspector. They have maintained a level of growth which sets them apart from other similar businesses. David Glover, the Managing Director of Caremark in the UK, was pleased to honour the client-focused business on the night. Caremark North Down, Ards & Belfast provides high-quality care to many local residents, in their own homes. Richard, Emily and their team work closely with local health and social care trusts to ensure they provide the in-home care services that local residents are most in need of.